Get inspired by these awesome websites. You never get a second chance to make a first impression. That’s why your homepage is undoubtedly one of — if not the most — important pages on your website. But before you dive into the nitty-gritty of managing a redesign (FYI: there may be more factors to consider than you think! ), take the time to research what other companies in your industry — and beyond your industry — are doing. 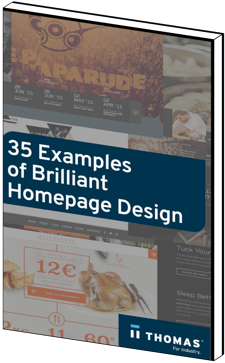 In this guide, we’ve collected 35 examples of brilliant homepage design that you can draw inspiration from. Fill out the form to get inspired today.